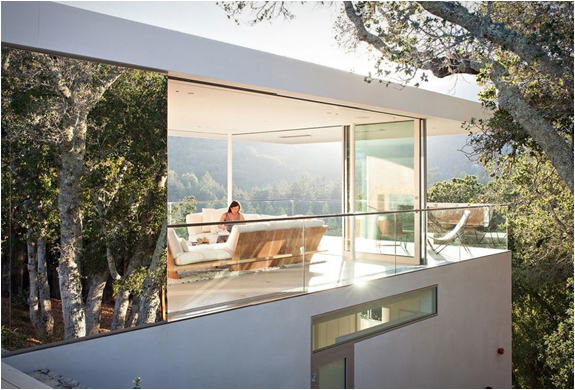 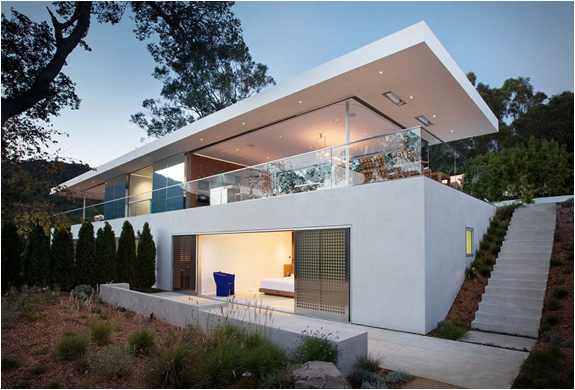 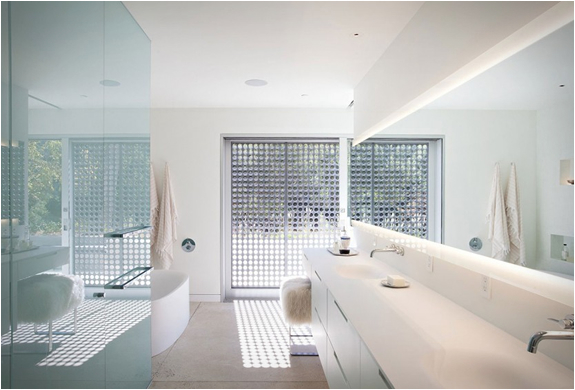 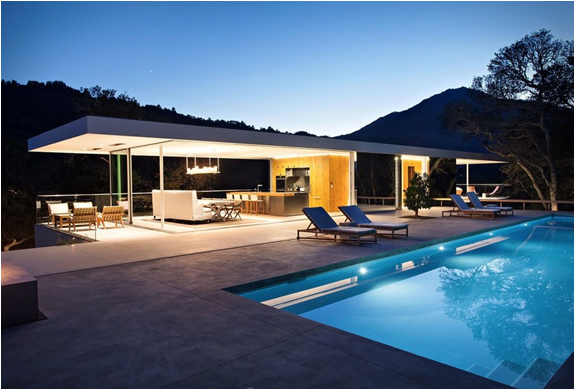 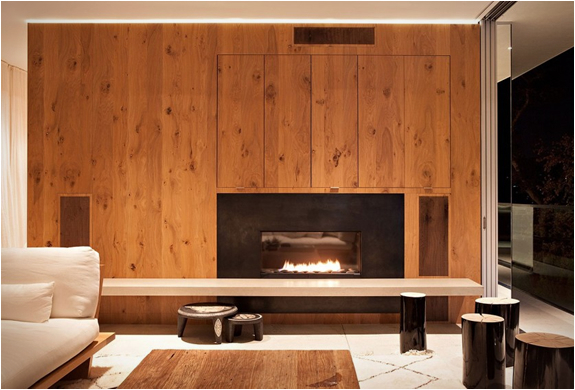 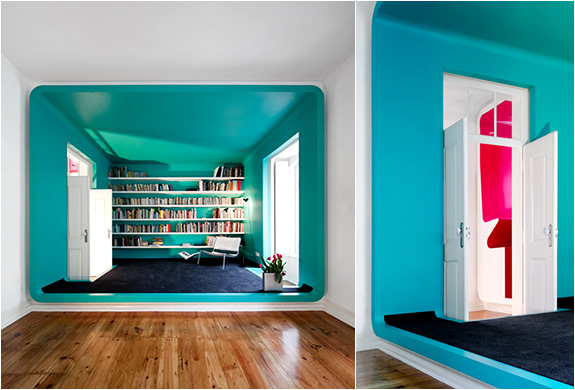 Designed by Jensen Architects, the beautiful Turner Residence is located in Larkspur, California, USA. 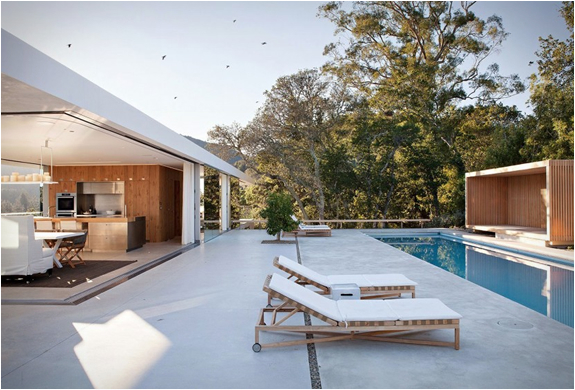 Built into a hill, the main building contains the private rooms of the house and is tucked into the earth and threaded through the existing oak trees on site. 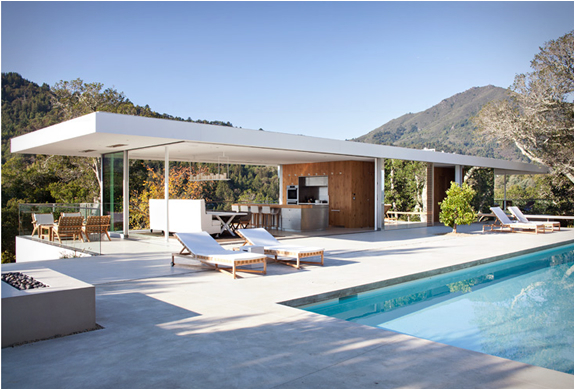 The lower two levels of the building are cut partially into the slope forming a grounded plinth with a transparent living and dining pavilion that opens up completely for access to the outdoor decks, pool patio and expansive views to Mount Tamalpais and the bay, creating the perfect space for entertaining.